This book is the fourth volume in White's five-volume series entitled The Conflict of the Ages. The series tells the story of Christian history as told in the Bible, beginning from Genesis and ending in Revelation. The Acts of the Apostles covers the Great Commission to the visions given to John the Revelator, i.e., from the Book of Acts to the Book of Revelation. Her interpretation of history and the Bible is quite original, and provided a theological foundation for the forming of the Seventh-day Adventist Church. White's unique and often controversial ideas address issues relevant to Christian faith and history that many of her contemporaries avoided. Although still highly criticized to this day, her work can challenge readers to look at Christian perspectives on New Testament theology and the progression of history in new or alternative ways. 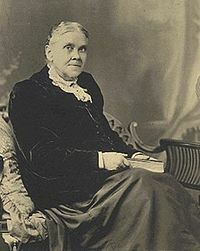 Basic information: Ellen Gould White (born Harmon) (November 26, 1827 – July 16, 1915) was a prolific author and an American Christian pioneer. She, along with other Sabbatarian Adventist leaders, such as Joseph Bates and her husband James White, formed what is now known as the Seventh-day Adventist Church. Ellen White reported to her fellow believers her visionary experiences.